Home » Community and Society » Traffic » Will there be parking space at the Sunset Boardwalk Project? « Older: Editorial: Is Our Education System Missing the Message? According to Christy Mastry, Project Director for the San Pedro Sunset Board Walk and Water Taxi Terminal Project locally referred to as the Saca Chispas Project, there are no plans for a taxi stand or public parking facility. The surprising confirmation came only after The San Pedro Sun was informed that the eastern part of the old football field is in fact privately owned. Initially the 0.6 acres of land was included as part of the concept for the Saca Chispas project. The land in question is registered now as parcel 963 but was a part of the total land given to the community by the late Ann Elizabeth Parham Blake-Alamilla, mother of Apolonio “Tuto” Alamilla for the use of a football field in the 1960’s. In the first public consultation held in November of 2010, the eastern part of the field was labeled as section B in the project, designed for “future project”. Later during another consultation in July of 2011, after the concept was enhanced, it was set aside as a “public open space for public parking”. But that public open space is no longer a part of the final project that went to the bidding process. 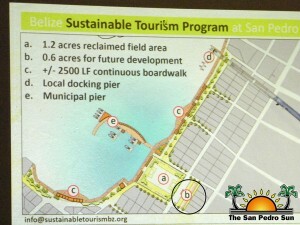 According to Mastry who is Project Director for the Belize Sustainable Tourism Program (including the Saca Chispas Project), during the consultation process, investigations proved that the section of the land was privately owned and as such they could not include the parking area in the final draft of the project. “Nobody deliberately lied. We originally looked at it as part of the plan. But after doing our investigation, we found out it was privately owned. So when the project went for bidding, it was never a part of the scope that was allowed for bidding,” said Mastry. Land Parcel 963 was a part of the old football field. In fact the property in question is where the San Pedro Town Council, upon taking office in March, built new public bathrooms. The area is also being promoted by San Pedro’s Mayor Daniel Guerrero as the future public parking grounds for the town when the parking regulation is enforced on Barrier Reef and Pescador Drives upon the completion of the Saca Chispas project. So then, who owns Parcel 963 and when was the person given titled to the 0.6 acre land? According to sources at the Ministry of Natural Resources, Parcel 963 was given out in 1991 to one Jeffery Kahn, apparently mistakenly. The documents at the Ministry indicate that Kahn made a first registration for a parcel labeled as 963. The description of the size is 50 feet by 75 feet in size, a regular house lot, as described in application document in 1991. However parcel 963 now in question and in the Ministry’s computerized database shows parcel 963 being 0.6 acres in size. Sounds like confusion, but there are two documents showing one Parcel 963 but two different sizes. In addition, the hard copy of the file for parcel 963 was missing from the filing system and according our source, it may be that the file is being requested since others parties have expressed getting information on the land in question. We tried finding out who Kahn is, but when The San Pedro Sun attempted to get information from the Property Tax Clerk at the San Pedro Town Council, we were told that they are not allowed to share any information. All attempts to speak to Mayor Guerrero were futile as he was unavailable for comments. However, in an October 5 morning show appearance on the local radio station in San Pedro Town, Mayor Guerrero and his advisor Claudio Azueta Sr. reiterated precisely what our story indicated. It was human error at the Lands Department, which was actually confirmed by our source at the Lands Department at press time. Mayor Guerrero reassured residents that work is underway to resolving the issue, which should be a simple matter of assigning a different parcel number to the 0.6 acre parcel in question. Parcel 963 will also be assigned to its rightful owner Jeffery Kahn, who bought the parcel via Club Caribbean located on northern Ambergris Caye. 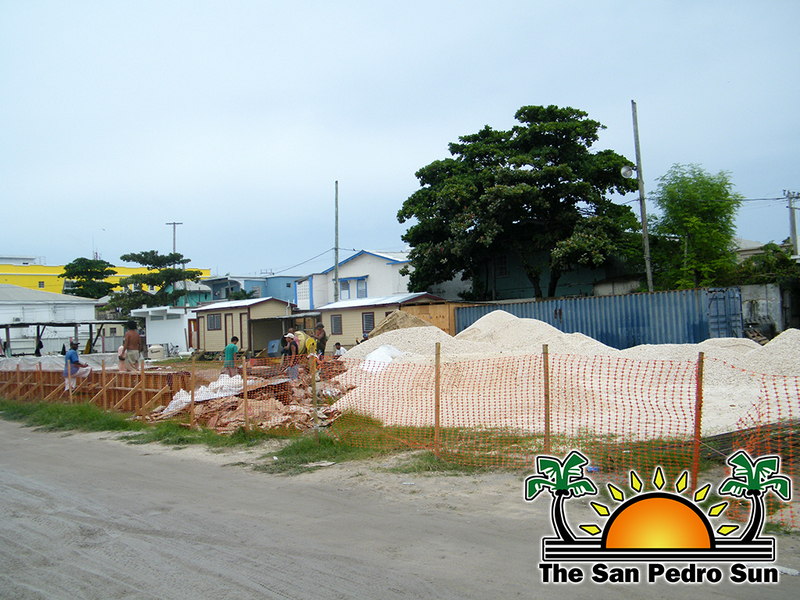 As to the matter of public parking, which Mastry indicated was “never in the final plans” when the Sunset Boardwalk Project commenced, Mayor Guerrero mentioned on the morning show that residents can be reassured that there will be public parking. It was not clearly indicated where or via which project. 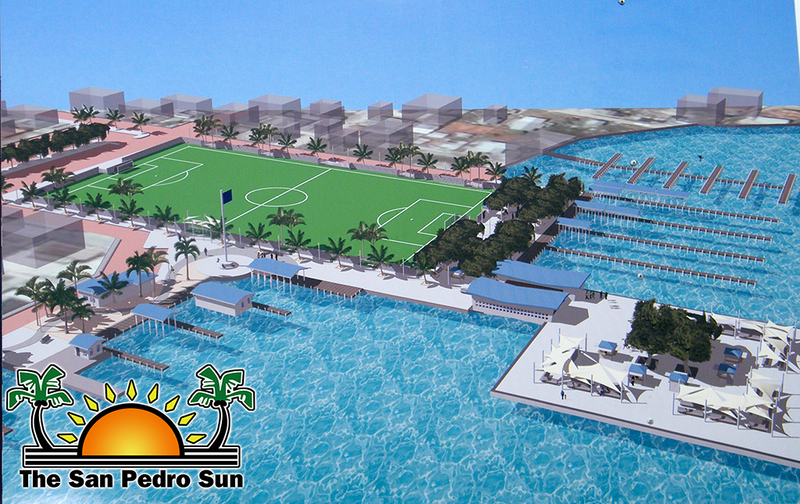 The San Pedro Sun once again reiterates that Mayor Guerrero has confirmed what our story indicated from the very beginning, it was a simple human error that has brought about confusion as to the propriety of the parcel that was originally being described as the future parking space for San Pedro Town residents.